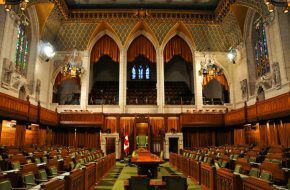 Despite being active in their communities, women represent just 35 per cent of all legislators in Canada, according to Statistics Canada. The committee suggests political parties should be working harder to get more women to run by eliminating sexism and biases that might be built into their recruitment efforts. One potential fix would be to offer cash incentives, such as subsidies or weighted formulas for public financing to encourage parties to help more women to get nominated and then elected. The committee also says government should consider requiring political parties to publicly report on their efforts to recruit female candidates after every general election and should also encourage them to set voluntary quotas for how many female candidates they plan to field.